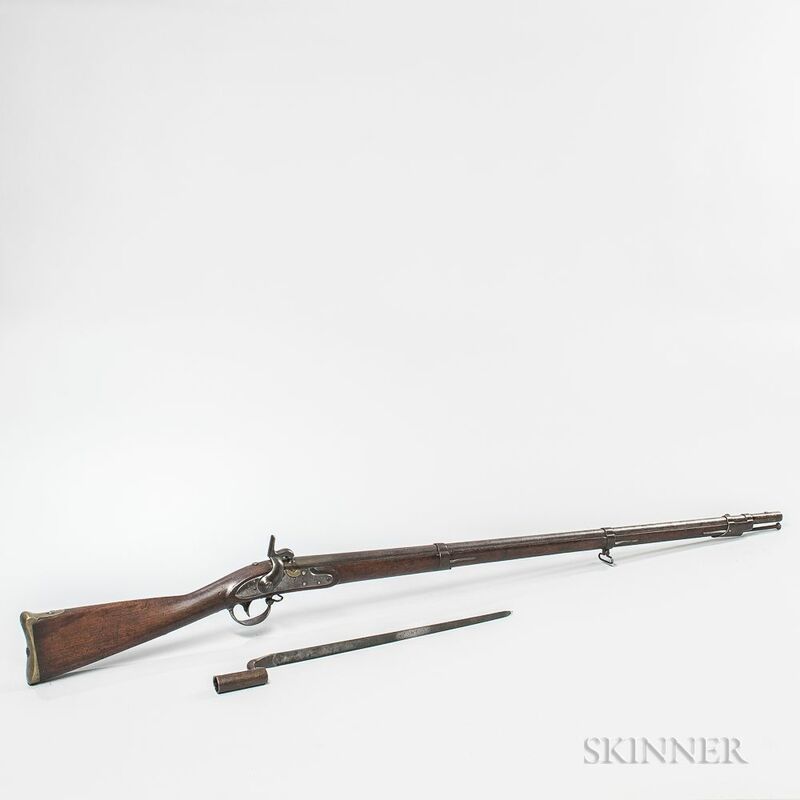 Whitney 1822 U.S. Contract Musket Converted to Percussion and Bayonet, c. 1833, walnut stock with a cartouche mark on the left side and one in front of the brass buttplate, lock marked on the tail "NEW/HAVEN/1833" and in front of the hammer "U.S./E. WHITNEY," marked on the barrel tang "1833" and "US/LS/P/MS" on the left side of the breech, and a bayonet marked "US," barrel lg. 42, overall lg. 57 3/4 in. Some dings and nicks in the stock, and the lock functions properly.